Downsizing your home can have different meanings. In fact, we prefer to use the term ‘Rightsizing’. Rightsizing means moving to a home that fits the lifestyle you desire now, and as you age. The right home doesn’t have to be smaller than your current home. The right location, near family, friends, and activities. Sometimes the right location is a new state, perhaps a warmer climate. For some people, it means lakeshore, golf course homes, or urban condos. The right layout with functional spaces for living, entertaining, and hobbies. 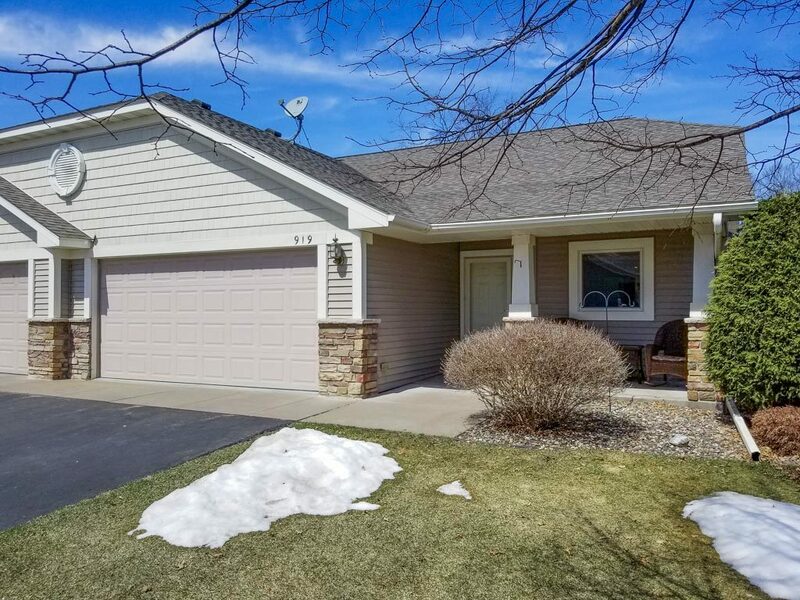 For many Baby boomers and seniors in Hudson, WI, they want homes with a all the main living areas on one level, with a main floor master suite, main floor laundry, and no stairs. Many folks choose to have a finished lower level with a family room, guest bedrooms, and storage and hobby space. The right maintenance requirements so you can spend more time enjoying your retirement. If you prefer working on your golf putt rather than puttering around your yard, then perhaps a town home like this one is the right home for you. Or maybe you’ve been dreaming of a hobby farm with acreage because puttering is your idea of bliss. Everyone’s retirement dream is different. The right price point, allowing you to appreciate your retirement without worrying about your mortgage payment. Our seller client was referred to us because she was ready for a change. Eager to move to a smaller home, she did a great job getting this lovely one level town home ready for market. The sign was installed a little early, before we could get the photos taken. We were delighted when a prospective buyer called us after seeing our sign. They loved the neighborhood and cul de sac location. 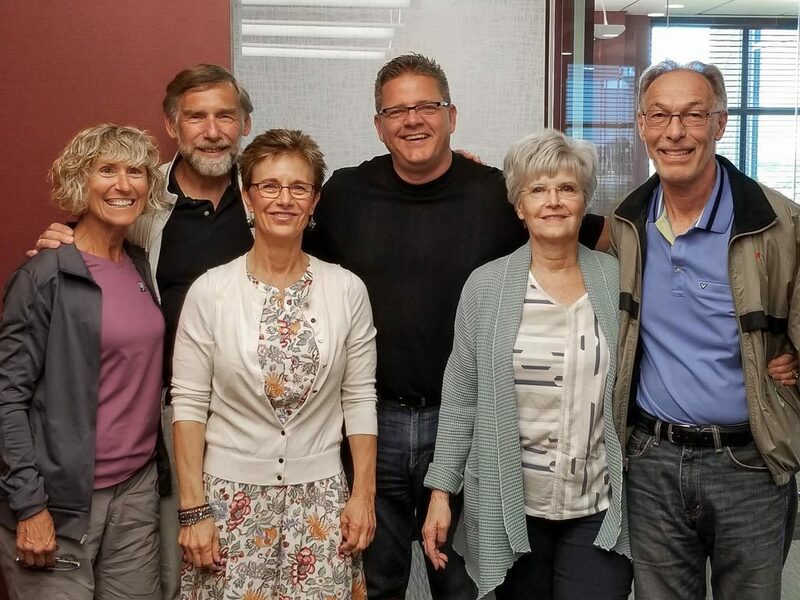 You see, they were were relocating to Hudson so they could be closer to their adult children and grandchildren, who live in the Twin Cities. Staying in Wisconsin was important to them, so Hudson was the perfect choice to allow them to be close, but remain in Packer country. They layout was perfect, offering plenty of space for hosting holidays and grandkid sleepovers, without having to worry about exterior maintenance. They are going to love the serenity of sun room with views of protected wet lands. Happy clients! John and Becky bring home buyers and sellers together! If you are considering ‘Rightsizing’ your Hudson WI home, contact John and Becky Durham. John and Becky are a husband and wife real estate team with RE/MAX RESULTS in Hudson, WI. They work together with every client, so you get the time and attention you deserve. Becky is a Seniors Real Estate Specialist®, with advanced training and experience working with Baby boomers and seniors in their housing transitions. John is a Certified Luxury Home Marketing Specialist®, with experience and demonstrated success in marketing and selling luxury homes. Watch our video to learn more about downsizing in Hudson.